That has sugar too? No way! Certain foods are widely known to contain sugar, such as candy, cookies, soda, mixed drinks and desserts. It’s appalling that practically everything in a bottle or a package contains sugar. Some of these even surprised me. 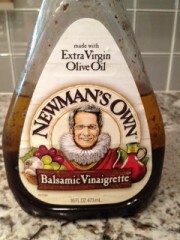 Newman’s balsamic vinaigrette has sugar listed as the 5th ingredient. All along, I thought it was just oil, vinegar and spices! Brown rice syrup is listed as the 2nd ingredient and sugar cane is listed as the 5th ingredient. 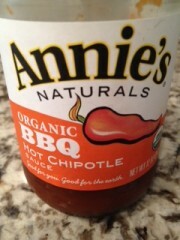 BBQ sauces are notorious for lots of sugar. 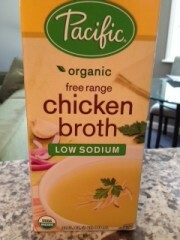 This chicken broth has sugar listed as the 3rd ingredient, who would have thought? 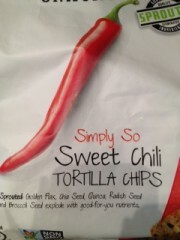 These flavored tortilla chips have sugar listed as the 8th ingredient. 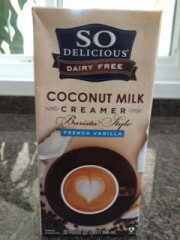 This coffee creamer has sugar listed as the 2nd ingredient. 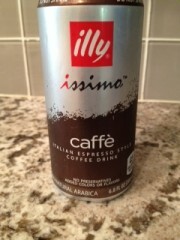 This canned espresso has sugar as the 2nd ingredient. Caffeine + sugar…no wonder it wakes you up! This Kind bar has honey as the 3rd ingredient and glucose as the 4th ingredient; that’s why it’s so sweet. 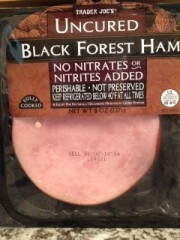 In this nitrate-free Trader Joe’s ham, sugar is the 5th ingredient, what a bummer! 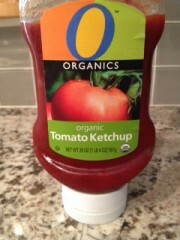 Von’s tomato ketchup has sugar as the 2nd ingredient. They should rename it: Ketchup-Sugar. 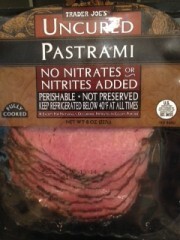 This nitrate-free Trader Joe’s pastrami has honey as the 6th ingredient. Even beef products have sugar now! This Cliff Builder’s protein bar has brown rice syrup listed as the 3rd ingredient and cane syrup as the 4th ingredient. Sugar bar! 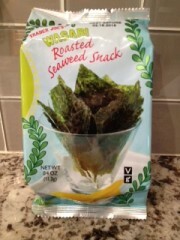 This seaweed snack has sugar listed as the 9th ingredient. I was surprised it had sugar at all. 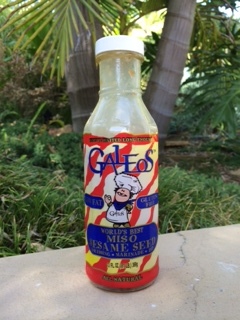 Miso salad dressing. Honey is listed as the second ingredient; no wonder I like it. 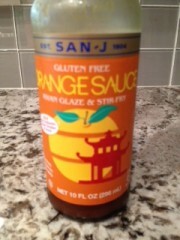 This orange sauce has sugar listed as the 1st ingredient. Wow! 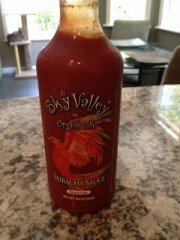 This spicy Asian sauce has sugar listed as the 3rd ingredient. This was a surprise to me. 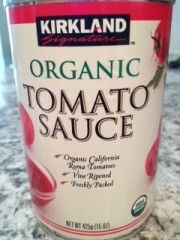 Kirkland’s organic tomato sauce lists sugar as the 4th ingredient. 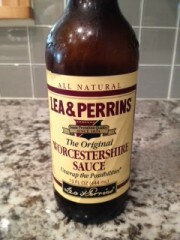 This Worcestershire sauce has sugar listed as the 3rd ingredient. Everything really DOES contain sugar! Of course, the above is not a complete list, otherwise it would be miles long! Beware that the following items commonly contain sugar: bottled tea, bread, cereal (Cheerios has sugar as the 3rd ingredient! 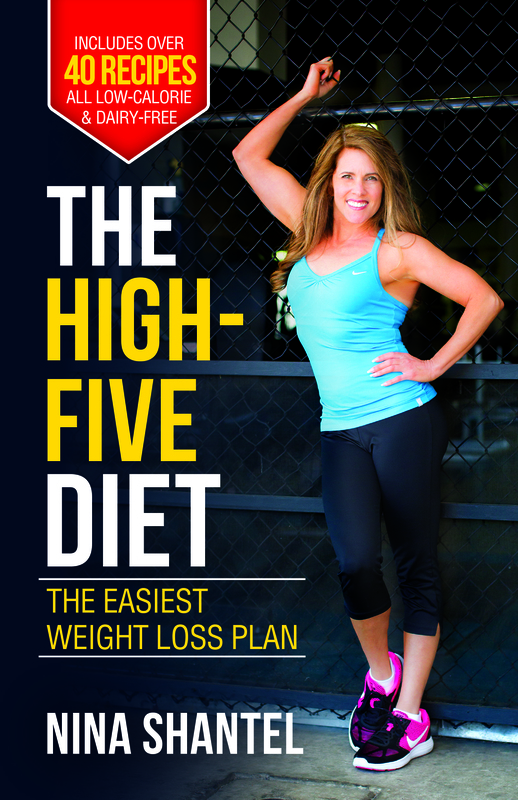 ), chocolate protein powder, crackers, chewing gum, granola, pasta sauces, deli meat, pretzels, and yogurt. It’s no wonder we’re addicted to sugar; we’re programmed to desire it each time we eat. ← 2 week sugar & GMO fast. Are you in?